The A&I team got to meet with legendary Tim Gunn while he was visiting the Windy City to promote his new book, Tim Gunn: The Natty Professor! We made the stylish star a custom pair of monogram cufflinks and had our own “make it work” moment when we realized we only had 48 hours to produce them! Our hustle paid off, just check out Gunn’s smile of approval as he poses with the cufflinks. Can you guess what his middle name is from his monogram, TGM? 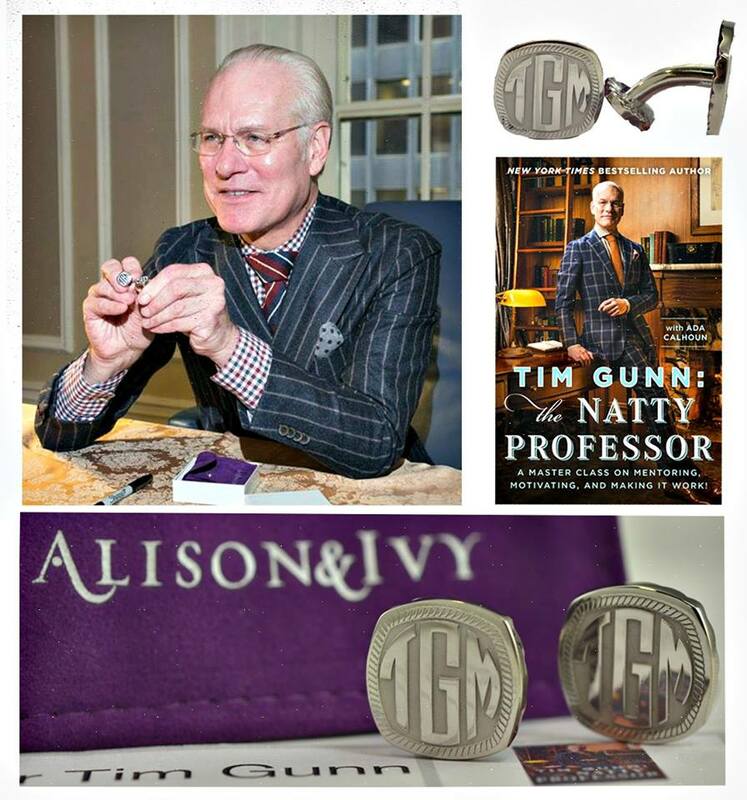 No, it doesn’t stand for Tim Machine Gunn – it’s actually Tim MacKenzie Gunn! Our brand manager even got a hug from Mr. Gunn…JEALOUS! She said, “Gunn was down-to-earth, full of jokes and spent the afternoon discussing not only his triumphs, but also what he has learned from his failures.” That’s right, even Gunn has fallen down a few times! Gunn advised, you will try accomplish so many things in life and no matter how hard you work, life will try to push you down. But you have to get up and keep going…”you have to be a Weeble,” he said. Well, he sure is one stylish Weeble! 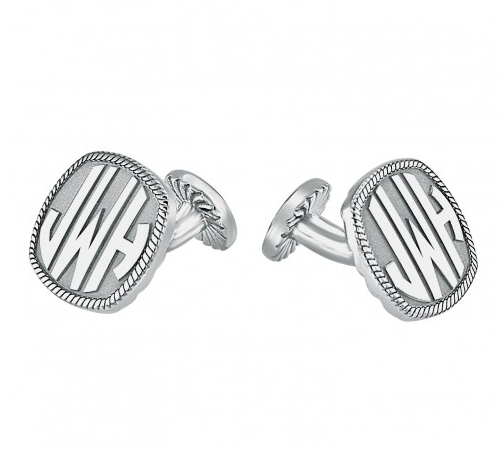 Get your own Gunn-style monogram cufflinks on our site. Weeble on, everyone! 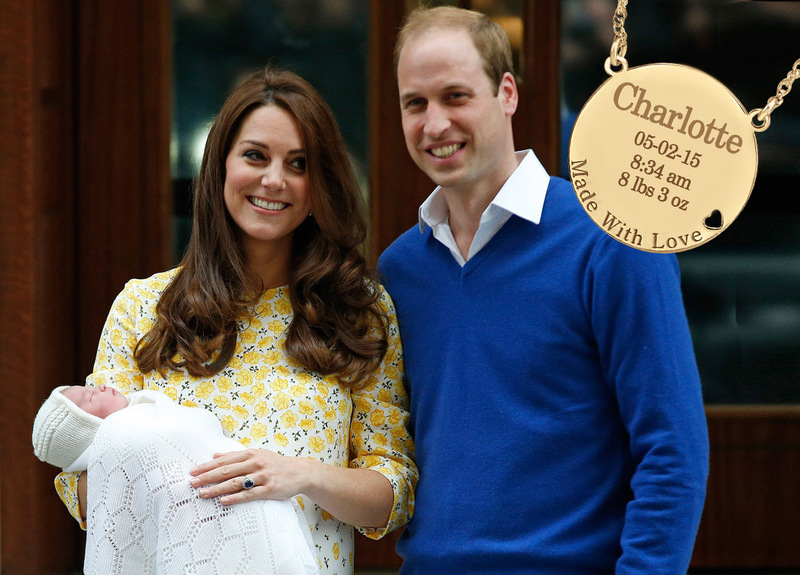 Congratulations to the Duchess and Duke of Cambridge on the newest addition to their family, baby Charlotte. The Princess was born Saturday morning at 8:34 at London’s St. Mary’s Hospital. Though she only weighs a mere 8 lbs and 3 oz, the princess sure has a big full name to carry: Royal Highness Princess Charlotte Elizabeth Diana of Cambridge! Charlotte is named after her grandfather Prince Charles. Kate’s sister, Pipa, also holds Charlotte as a middle name. Elizabeth stands for Charlotte’s great grandma, the reigning monarch, Queen Elizabeth. And Diana, is of course a nod to William’s beloved mother, Princess Diana, who passed when he was just 15 yrs. old. 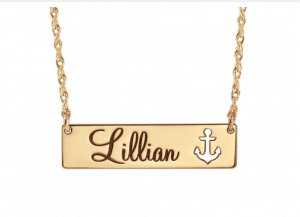 We love it when names have such special meanings, it’s one of the reasons we specialize in personalized name jewelry! The Made with Love Pendant is one of our best selling, new Mother’s pieces. 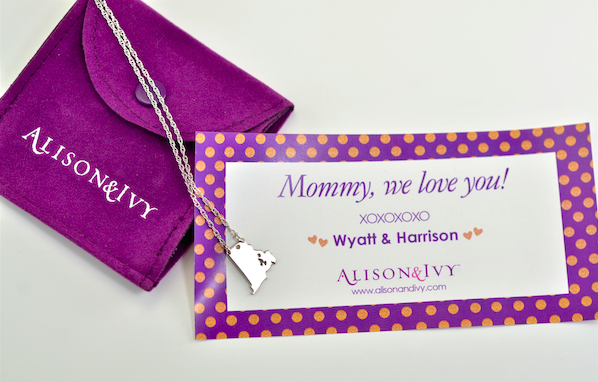 We are celebrating all special Mommy’s this Mother’s Day, so head on over to the Alison and Ivy site to check out the wide selection of family jewelry. 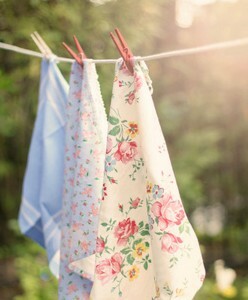 There’s just something about the sun in your hair & the scent of spring cookin’ in the air. Get outside and taste spring! Weather it’s a picnic in the grass, BBQ on the grill, or even just sipping tea on a stroll if it’s still chilly. 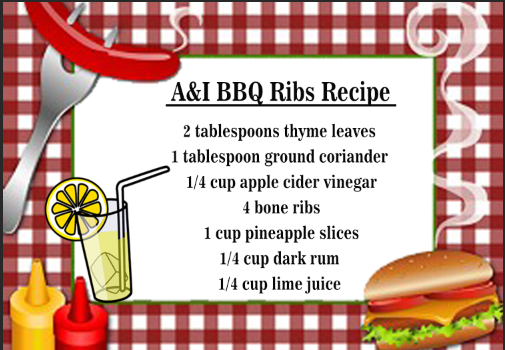 Follow these directions and our recipe above for delicious BBQ ribs: Sprinkle thyme and coriander on ribs and bake in oven for 2 hours at 280 degrees. Slather the rest of the ingredients on the ribs, then transfer to top rack on grill for 4-5 minutes each. Get an early jump on season seats and concert tickets! Your favorite summer events will sell out quick, so make sure you are planning ahead! Try out seatgeek.com for some great discounts! Tis’ almost beach season, so make sure you’re putting the sweat in now! 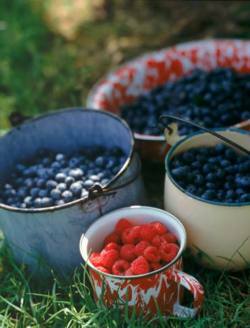 Picking berries or planting a family tree can be a great workout & spending time in the sun with the fam is always a plus! Strawberry picking season starts in May and there are a few veggies like asparagus that are in season now. Follow this link to find a picking farm near you! 5. Sun Dried Shirts, Anyone? Ditch the dryer and save on your electric bill by drying clothes outside. Trust us, the sweet outdoors smell is the best perfume out there…well as long as you don’t hang them right next to a smelly chicken house! 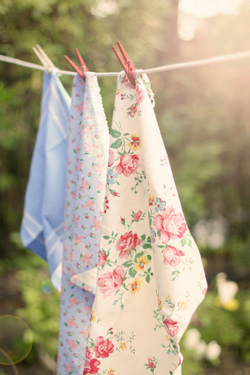 The average family can save $10 a month from air drying clothes, not to mention the benefits to the environment! Weddings, Easter baskets, and Mother’s Day will spring up without warning. If you want a heartfelt gift, make sure to think ahead so you’re not out scrambling for scraps at the last minute. Happy St. Paddy’s Day! Enter our facebook giveaway for a chance to win a personalized, gold plated monogram (Alison and Ivy’s most popular Classic monogram necklace of course!) 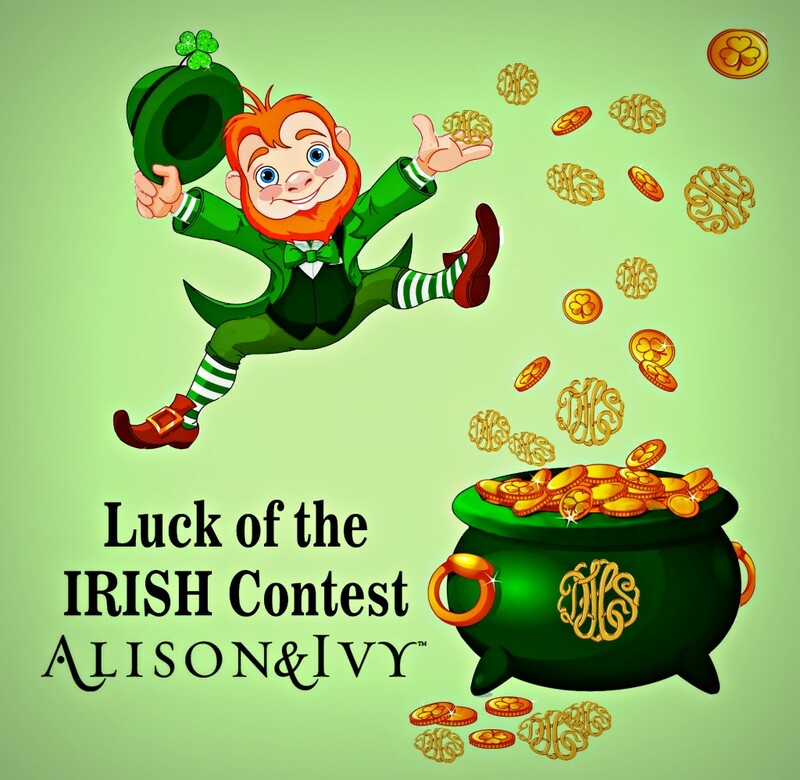 May the luck of the Irish be on your side! Alison and Ivy jewelry is sold all over the United States, but the heart and soul of our team will always be in Chicago. In fact, our parent company, Hampden Corporation, has been making jewelry here for 93 years! 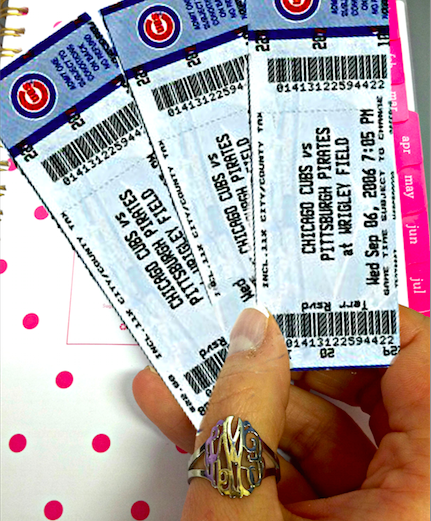 We’ve been around for a while, so trust us when we say Chicagoans LOVE their sports teams. Especially when they are doing amazing things for our community! We cannot get enough of the Blackhawk’s latest social media campaign. The original video asked fans to share their goals on twitter with the hashtag, #WhatsYourGoal. Lately, some of the players have taken it upon themselves to help fans’ goals come true. 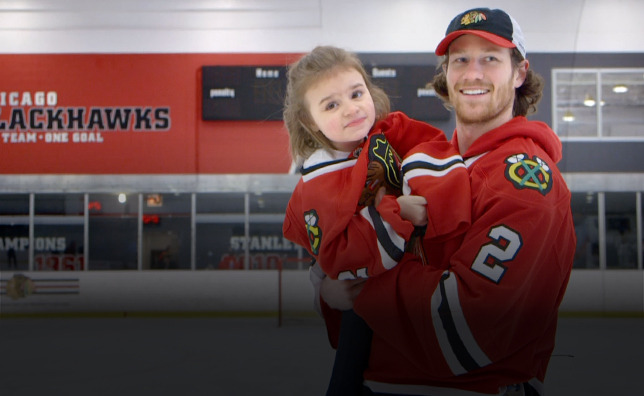 Just watch as Blackhawks defenseman, Duncan Keith, help young Cammy score the most heartwarming goal you’ll ever see. 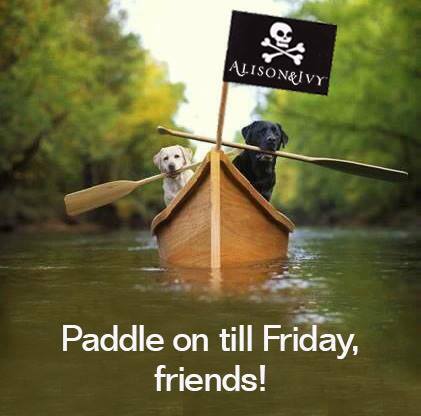 We need all hands on deck to help us paddle to Friday. We’re almost there! We’ve set our sights on this Alison and Ivy anchor necklace. Join us to dream of breeze in our hair and the scent of salt water wafting through the air! The prized, pearl gown Lupita Nyong’o wore to the Oscars was stolen from her hotel room Tuesday night! Strung together with 6,000 white pearls, the Calvin Klein masterpiece has a price tag totaling 150K. The crime most likely occurred between 8am and 9pm Tuesday, while Lupita was out of the room. According to a source, many of Lupita’s friends, hairstylists and makeup artists had keycards to her room still from the Oscar’s on Sunday night. Authorities are currently looking at surveillance footage for suspicious activity. According to Giuliana Rancic and the E red carpet correspondents, Lupita’s dress marked 2015 as the “season of the pearls.” But a season to steal for? That’s a bit extreme. Before you start planning a Bonnie & Clyde heist, try incorporating the trend through a legal, more affordable manner. Like with an Alison and Ivy pearl monogram bracelet! There’s an E in friends and it stands for Emily, Emily Fields that is. Fearless and sweet, this pretty little liar always puts her friends first. Plus, her style the perfect combo of 90’s grunge and sporty prep. Em knows how to rock the effortless vibe without looking disheveled. Case in point: chill tank + chic bar necklace + loose curls = hat-trick! And girl can dance! We were shocked when she whipped out the moves and even attempted to hit the rewind on live TV. Thank goodness for youtube! We tracked down her dance vid so you can try out these sassy shimmies in the mirror. Hey, no judgement here!